Greetings from HumanaNatura at the cross-quarter! In the natural year, we are now halfway between the more balanced period of the recent equinox and the more extreme time of the coming solstice. Everywhere on earth, there is rapidly advancing change – toward our winter and summer climates in each hemisphere – a recurring feature of life on our planet that touches and can inform us all. 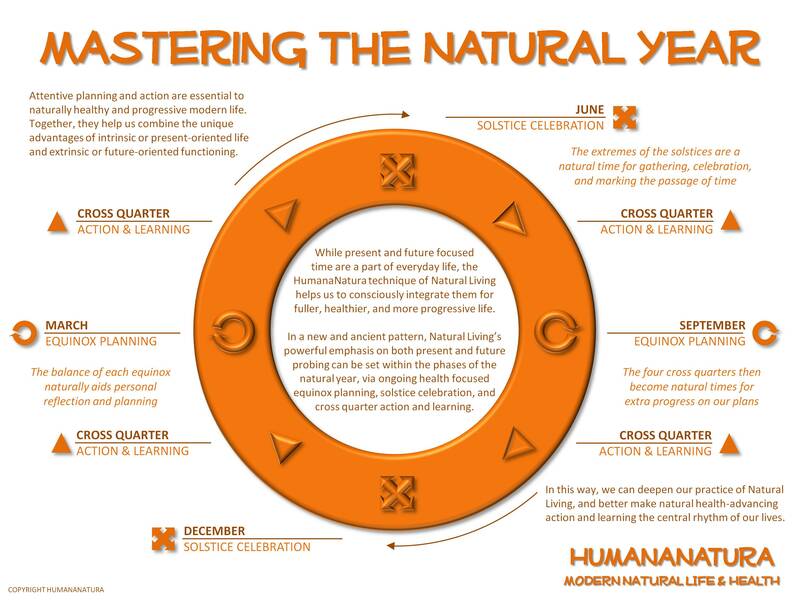 In the HumanaNatura natural health system, and as explained in our Mastering The Natural Year graphic and post, we encourage extra progress on our Natural Life Plans around each cross-quarter. At the solstice -nearing cross-quarter, this is so we have adequate completed actions and learning at the solstice– in another six weeks or eighth of a year – when HumanaNatura encourages celebration of our lives, communities, and successes.